Michael is a California licensed Civil Engineer and has been the owner and manager of Michael Love & Associates, Inc. since 1999. He has extensive interdisciplinary experience in fisheries and fluvial geomorphology, and an expertise in channel hydraulics, watershed hydrology, and fish passage. Michaels work emphasizes applying geomorphic-based approaches to solving watershed-based problems. He has authored state and Federal publications on fish passage design and assessment, and reducing the impacts of roads on the aquatic environment. Michael is a lead developer of the FishXing software and a regular instructor for fish passage and stream restoration courses. He also serves as Secretary/Treasurer for the Bioengineering Section of the American Fisheries Society. 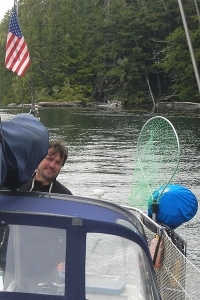 Between projects, Michael enjoys sailing the Northwest Passage on his small boat, Pangaea. 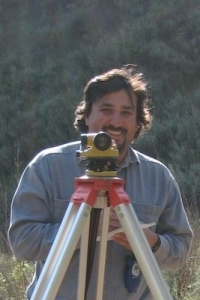 Antonio is a California licensed Civil Engineer and graduate of Humboldt State University. 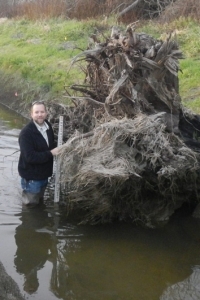 He has worked on a variety of aquatic habitat improvement and fish passage projects and has a wide range of experience in hydrology, water supply and distribution, hydraulic analysis and design. He has worked on the design and preparation of plans for construction and permitting, and data analysis for hydrologic and watershed conditions. Antonio is involved with most of the field and survey efforts and provides an expertise in the use of Civil3D drafting and modeling software. He is an active officer with the local chapter of Engineers Without Borders. During his leisure time Antonio can usually be found somewhere on the North Coast involved with some type of water related activity. 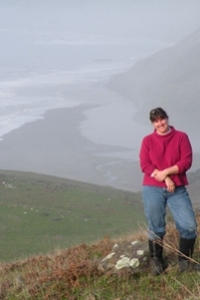 Rachel is a California and Oregon licensed Civil Engineer and formally trained fluvial geomorphologist. Rachel has worked in private consulting for over 15 years focusing on riverine restoration, fish passage, wetland design, bioengineering and water quality improvements. She has a wide range of experience in geomorphic interpretation, hydrologic and hydraulic modeling, and scour and sediment transport analysis. She has prepared construction documents and supervised construction for over 50 water related projects. When not working, she is usually playing with her homemade flume or gardening. Travis is a licensed Civil Engineer with experience in riverine systems, including fish passage engineering, fish screen systems, fluvial geomorphology, channel hydraulics, and watershed hydrology. Riverine projects often include working with existing infrastructure such as diversions, dams, pipe networks, bridges, and roads, while coordinating with landowners and other stakeholders. Travis enjoys engineering in this highly dynamic field. Travis utilizes both deterministic and probabilistic approaches in design using multiple tools, including industry standard models, customized models, civil design software, and GIS software. Beyond design, Travis also enjoys developing the contract documents necessary for construction and working with contractors through the construction process. When not working, Travis can be found mountain biking or backcountry skiing as well as spending time with his family. Nanette is an Engineer in Training in the State of California and a graduate of Humboldt State University. She has worked in fish passage improvement, flood management, and disaster response. She has experience in plan-set development, hydraulic modeling for fish passage and river restoration projects, field data collection and analysis, and field surveying. 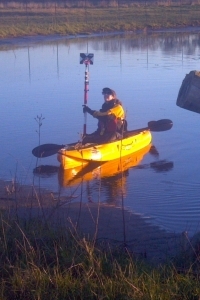 She is active in much of the field and survey work, and particularly enjoys opportunities conduct bathometric surveys from atop a kayak. During her time off, she may be found patrolling Humboldt Redwoods State Park from horseback as a member of the Mounted Assistance Unit.